Easy to use yet highly sophisticated, the installation of Markham telephone entry systems should be left to the experts. Here at our company, we make such jobs easy for you. Qualified to service, install, and repair phone entry systems of all large brands in spite of their distinguished features, the techs ensure smooth and easy communication. 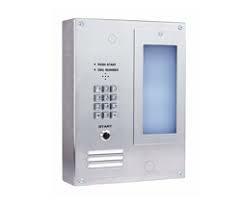 If you are planning to get a telephone entry intercom, just reach out to us. If you like to have the existing one serviced, don’t hesitate to call today. 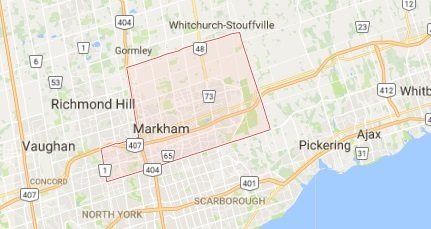 Planning to have telephone entry systems installed in Markham, Ontario? Let our team be of assistance to you. Today, there is a variety of phone entry systems and we have experience in them all. The purpose of these systems is to enable communication between a person in the building and the visitor at the gate without security risks. Access can be granted or denied while the communication may be just oral or include a visual, should you get a telephone entry system with camera. When you leave the telephone entry systems installation to our company, you can have peace of mind that it is done correctly. No matter which type you choose, we are experts in them all. Mounting and connecting the telephone entry system is not easy. All the same, it requires great attention for the avoidance of problems later on. We dispatch techs with a vast field experience and licensed to fit such complicated systems in the right way the first time. Instead of taking chances tomorrow, call us today for the installation. 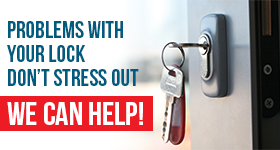 Here at Markham Lock & Key Service, we have helped a large number of people over the years. Our customers trust our professionalism and the quality of all services. Don’t be reluctant to contact us if you are having some troubles with the existing system. Some repairs can alter the situation to the better while our company is available for maintenance too. Is it time to get a new system? The project becomes simple with us. Let us offer a helping hand. Call us for assistance. Our expertise highlights the expert installation of all types of telephone entry systems in Markham.